Laparoscopic right salpingo oophorectomy – I believe that is the “medical term” for it, and on the 08/11/2018 the NHS gave me my very own experience of it. every single one made my journey bearable and I am eternally grateful. 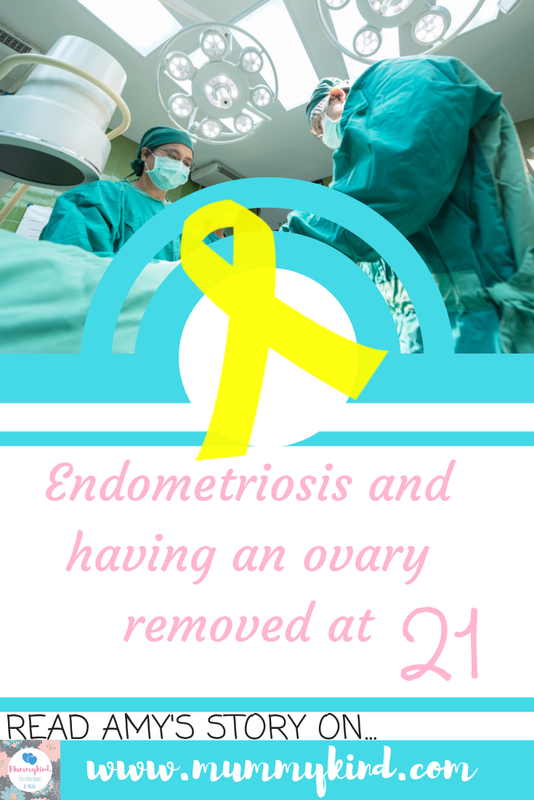 I’ve posted previously about my battles with endometriosis and PCOS (polycystic ovarian syndrome) and on the 18/10/2018, my consultant and I came to the mutual agreement that it was time to say adios to my right ovary and fallopian tube (the worst out of my two ovaries, as over time my left ovary has been rather kind to me over the years). However the week of the 01/11/2018 I had a pretty aggressive flare up, it was starting and stopping but I dismissed it, after all… I have no time to be ill, between work and my son, a trip up A&E would never fit into my schedule, as the week progressed friends urged me to go to hospital but in my stubbornness I declined (because I was clearly handling the situation so, so well). I think I mentioned to the mummykind girls all week how the pain was p*****g me off and I didn’t have time for it, as well as to Char and a friend by the nickname of Moody. Saturday the 3rd came and I was on a half day at work, I remember going into work snappy, tired and with barely any energy where the pain was getting worse. Char and Moody had both had enough at this point with Char taking on the maternal role and telling me I needed to call someone and I believe Moody’s words were ” then stop f*****g moaning about it and go to the hospital” – bit harsh but had a point. Looking back perhaps everyone was right, If I listened and dealt with the situation properly rather than sticking my head in the sand, I might not have needed my elective surgery brought forward. That afternoon I got home and the pain had got so severe I was on the sofa crying, I couldn’t sit up was just scrunched up with a hot water bottle (this was after taking my oramorph – oral morphine). I rang 111 who sent an ambulance, then after a trip to A&E, the on-call gynaecologist did an internal examination of my ovaries. I remember letting out this high pitched yelp as she said “hmm well it doesn’t feel twisted but I think I can feel a cyst, your ovary felt very bulky” she patted my arm and said she would admit me and book me for a scan. The pain got more intense and more severe, and my blood pressure dropped as a result. I had an ultrasound the next day with two sonographers who did both an external and internal scan but wouldn’t tell me much, they just said there was lots of free fluid and that my right ovary was bulky. As they spoke in hushed tones I was left unsure of what was going on. It became a waiting game, friends from work visited, mummykind friends visited and kept me entertained with gossip and laughter. The night before the operation Harriet even came up to help me wash my hair and shave my legs, and I put my new nighty on from Charlie… I was ready. My ex had brought Oliver up to see me, as we agreed he would have Oliver for the next week where I wouldn’t be able to lift and needed to recover. The day of my operation arrived and I was a bag of nerves. A friend visited in the morning with knickers and pads for me but after she left the reality hit me, I was on my own. I would have nobody holding my hand as I went down to theatre and nobody waiting for me when I was out, this was something I had to face and deal with on my own. As I got wheeled down to the prep room by two theatre assistants, one who was a very bubbly man and could tell I was anxious. I could feel myself panicking, the anaesthetist who I had met previously greeted me and the first thing he asked me to do was to slow my breathing down, I could feel myself going into a panic attack but I couldn’t stop it, I had no control. The anaesthetsist said to me “How old is your son Amy? Who’s with him at the minute?” As I replied I didn’t realise those questions were him calming me. He made me talk about the one thing that could shift my focus, then he said, “okay Amy, I’ve just given you a strong painkiller so you might feel a bit drowsy but that’s fine,” and I felt myself sinking, and no matter how hard I tried to fight it… I lost. teary. The recovery nurse was sweet, she helped me sip water and gave IV morphine where I was tender. A week on and I’m back at work, I’m still sore and not completely over the mental side of it, whether it was planned or not the reality is my right ovary and tube is gone and over years it is likely my left will go too. The reality has hit me that Oliver is likely to be my only child, and I lost so much time with him as a newborn due to postpartum psychosis that I’m scared I won’t get that chance again. However, if having my right ovary removed gives me a better quality of life then that is something I need to be grateful for and come to terms with. I’ve also discovered that phantom pain is so real and so, so weird. I can feel normal period cramps on my left side however my brain still associates pain with the right hand side, despite the fact there is nothing there, but I am only 1 week post-op so prehaps I need to give myself some more credit as I am already back at work.